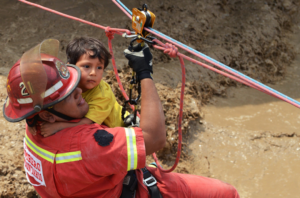 An unusual bout of heavy rains powered by El Niño conditions have drenched parts of Peru with 10 times more rai nfall than normal, causing rivers to overflow, and mudslides to destroy roads and farms. More than 70 deaths have been attributed to the flooding, which has isolated hundreds and displaced thousands. Rescue crews continue to search for those in need, while some residents are now beginning clean-up and recovery work. Officials have warned that the wetter weather might last another month or more. Many customers of Vortex suffers a lot, major flour manufacturer in Peru use vortex ribbon mixer and vertical ribbon mixer, we are deeply sad to hear this news, and all our staff pray for them.